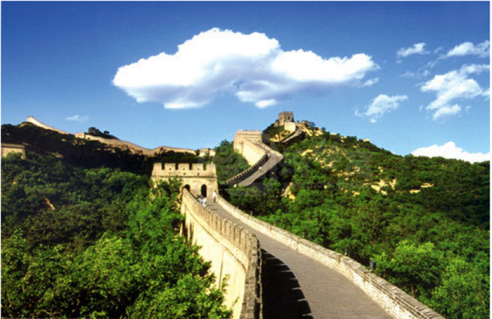 Most parts of the preserved Badaling Great Wall were built and reinforced during the Ming Dynasty to defend the capital against the intrusion of Mongolian people. This section has an average altitude of over 1,000 meters and acts as an outpost to the Ju Yong Guan pass. Because of its steep mountain slopes and winding roads, Ba Da Ling is used as a military stronghold – just like a strong dragon winding it's way along the mountain ranges. Ba Da Ling is possibly the most crowded section of the Great Wall as it is frequently visited by tour groups.